Lawsuits can affect businesses in a number of ways. They can cause companies to lose millions of dollars in damages or even settlements to simply make the lawsuit go away. They can lead to change in the business model or if the lawsuit was due to an accident, bring new health and safety guidelines within the company. Finally, lawsuits can and often do change the perception of the business. It can damage the reputation of a company. It can even bring it crashing down out of a top position that it once held on the market. Almost every major business has been hit by a lawsuit at one point or another. Small businesses can be affected too, and it all depends on how well protected they are. Several years ago, onlookers were shocked when a man walked into a door for KFC smashing his leg into the glass and breaking it. The man claimed that since there was no sign, he assumed it would open both ways. This lawsuit was dismissed however it just shows how vulnerable a business can be from legal complaints. Of course, in other cases, lawsuits against businesses are completely justified. Let’s look at some of the lawsuits against businesses from the past, that are ongoing today or that may well be on the horizon. Often referred to as the Mcdonald’s coffee lawsuit this is famous for all the wrong reasons. Liebeck V Mcdonald’s went to court in 1992. When a 79-year-old woman bought a cup of coffee from McDonald’s drive through. After removing the lid, she spilled the coffee on her lap and due to her cotton trousers, the coffee soaked through scalding her legs. Sadly, her pants made the coffee stick to her skin. She spent 8 days in hospital, needed skin crafting and two years of medical treatment. This resulted in her filing a lawsuit against the company claiming that the coffee she bought was too hot. She won this court case with damages of 1.7 million dollars. Due to this lawsuit taking place in America it is likely that much of these winnings went to pay for her medical treatment that could easily have cost a fortune. However, many people feel that McDonald’s should not have been held accountable for her injuries. It did, however, leave a precedence and brought changes to the fast food and restaurant industry. If you buy a hot drink these days, you will usually notice a warning on the cup telling you it’s hot. The incident occurred just a few months ago. While filming the movie Deadpool 2 a stunt actress was killed, riding a bike at low speed. She lost control of the vehicle and was thrown through a glass window. While no lawsuit has currently been brought forward here, it is likely that one could be on the horizon for a few key reasons. First, this isn’t the only time that a stunt person has died on set of a Hollywood movie. There have been numerous cases recently with injuries onset of Fast & Furious movies and a death during the filming of “The Expendables.” As such, it is high time that new safety procedures are brought in to protect them. It is also likely that this will only occur after legal action. The other fact that might cause this to lead to a lawsuit is that allegedly, the producers decided to hire a person of color to match the actress she was taking the place of, rather than a more experienced white stunt performer. As of right now, there are only claims this occurred and no actual proof. Currently, the case is being labeled as a freak accident and therefore it is difficult to know whether any lawsuit will take place. It would be a difficult case to win as stunt men and women tend to sign legal disclaimers to say they are aware of the risks they are taking. As long as negligence does not come into play, the movie producers are protected by these documents. In Texas, a lawsuit was recently filed by the son of a woman who died after a tour bus collided with a train on a crossing. The railroad crossing collision accident lawsuit is currently ongoing with several factors coming into play. First, there are claims that the tour bus was never supposed to go over the crossing in the first place. Four people died during the incident. The lawsuit suggests that negligence was involved here with a sign that warned of the dangers of a low crossing possibly ignored and debris on the track ensuring the bus was unable to move as the train and four passenger cars collided with it. The driver of the bus has also been referenced in the lawsuit. Although it is unclear at this point whether there was any wrong doing on their behalf. What is clear is that a case like this could lead to a massive loss in damages of up to $65 million. It will also undoubtedly lead to changes in the business model of Diamond Tours Inc and CSX Transportation. Both the bus company and the rail company are being sued for negligence in this case. A woman in the UK has recently won her claim of false advertising for a James Bond Film Box Set. The lawsuit suggests that since the boxset was referred to as the complete box set containing all the bond films it was false advertisement. The boxset is actually missing one of the Bond films, Never Say Never Again. 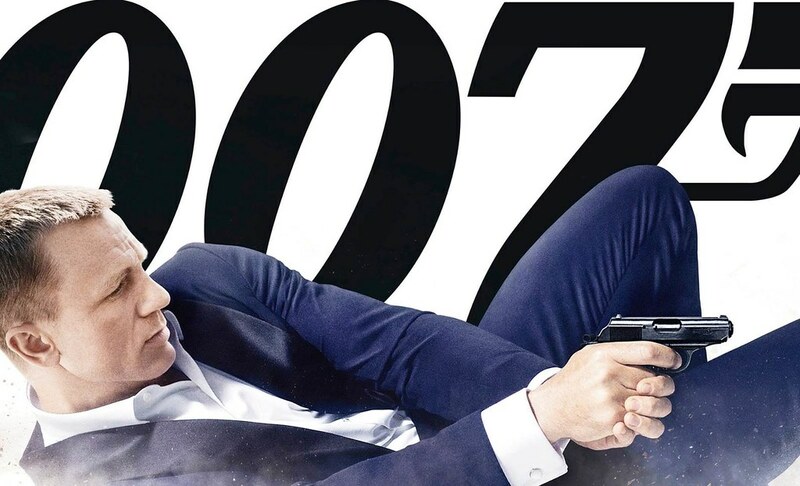 It is worth pointing out that while the film is classed as a James Bond film, even starring Sean Connery as the titular character, it’s not considered to be part of the main franchise. It’s also not produced by the same company as the others, likely meaning that the company releasing the boxset didn’t have the rights for it. That said, this lawsuit was not dismissed and will proceed to the next stage later this year. Finally, in 2016 20th century fox lost their appeal to prevent a comedy club in Ireland claiming ownership over the name. The legal claim stated that the popular American show was damaging their reputation by using their name and interestingly won the case. 20th Century Fox no longer have ownership over the trademark and may be forced to change the name of the show for everything from future showings to merchandise. Of course, this is somewhat of a moot point as the show ended a couple years ago. Although, it may prevent Fox from bringing it back as a reboot or remake in several years. Of course, copyright law can be tricky, and they could easily dodge the issue by keeping the essence of the name but using something like “Glee: Next Generation.” it does show however that underdogs can win copyright claims against bigger players. So lawsuits do have a severe impact on businesses. In some cases, these lawsuits are completely justifiable, and in others, they are a little more frivolous. But they can lead to huge payouts, a damaged reputation and in some cases, business closure.